1942-1947: 6,368 volunteers who served without pay were enrolled from 107 communities throughout Alaska in addition to a paid staff of 21, according to an official roster. The ages of members at enrollment ranged from 80 years old to as young as twelve(both extremes occurring mostly in sparsely populated areas). One first-hand estimate states that around 20,000 Alaskans participated, officially or otherwise, in ATG reconnaissance or support activities. In 2000 all ATG members were granted US veteran status by law, finally acknowledging the contribution of these American heroes, a surprising number of whom are still living. Many Alaskan soldiers who fought in World War II were never officially discharged until last week. About 50 of these Alaska Territorial Guard soldiers were finally given their discharge papers in Hooper Bay. ALASKA TERRITORIAL GUARD « on: February 01, 2009, 11:05:29 PM » -------------------------------------------------------------------------------- The Secretary of the Army has authorized emergency funds for 26 surviving members of a World War II Alaska militia unit whose retirement pay was being reduced because of a legal technicality, Alaska's congressional delegation said 28 JAN. Army officials last week said a military analysis determined the law recognizing the Alaska Territorial Guard's (ATG) service as federal active duty had initially been misinterpreted. Under the new interpretation, service in the five-year-guard no longer counts in calculating the military's 20-year minimum for retirement pay, although it still applies to military benefits, including medical benefits. The three-member delegation said that at its urging, Army Secretary Pete Geren will dip into an emergency fund to cover the pay for the 26 former members of the largely Native guard. The pay will equal two months worth while Congress works on legislation introduced by the delegation Wednesday to fix the law to allow the service in the unit to counts as active duty for calculating retirement pay. Army officials could not immediately be reached for comment. But the delegation said the survivors will receive a one-time emergency payment equal to two months pay, with the checks sent out as soon as 29 JAN. Retirement payment claims by 31 other former ATG members remain suspended until the law is clarified, said Jerry Beale of the state Department of Military and Veterans Affairs. He said the military should have gone to Alaska's congressional representatives in the first place. "The Army should have never stopped the pay until the congressional delegation was notified and had an opportunity to clarify the law or at least answer their questions," he said. "But as a result, this certainly brought the service of the members of the ATG to the forefront and people are now aware of how the residents of rural Alaska were willing to defend our nation." An estimated 300 members are still living from the original 6,600-member unit formed in 1942 to protect the vast territory from the threat of Japanese attack years before Alaska became a state. The unit stepped in after the Alaska National Guard was called overseas. The territorial guards — nicknamed Uncle Sam's Men and Eskimo Scouts — received no pay or benefits for the job. Many replaced their time hunting and fishing for their food with frequent drills and duties that varied from scouting patrols and construction of military airstrips to hundreds of miles of trail breaking. The unit was disbanded with little fanfare in 1947, nearly two years after the war ended. could of retired from the military nine years ago. 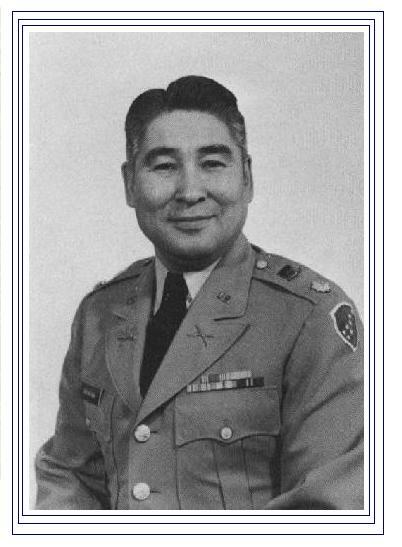 Instead, the strapping 54-year-old Inupiaq volunteered to lead his men in Iraq.